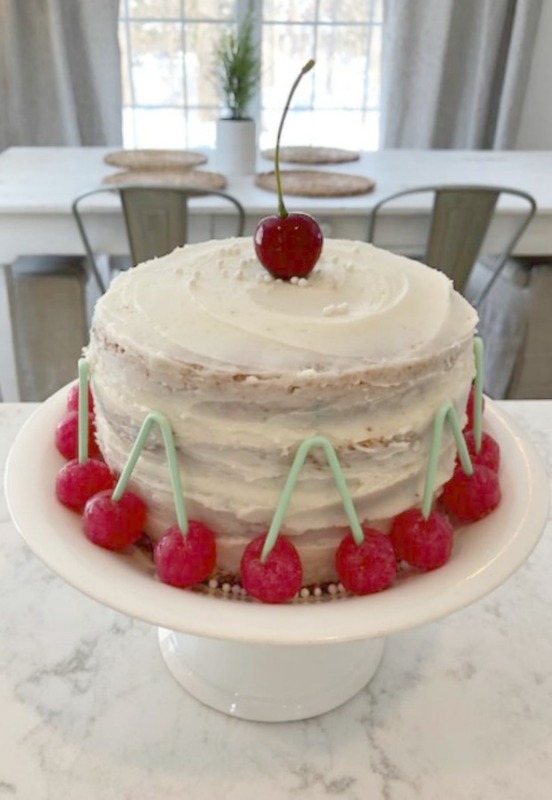 My last post featured a rather old fashioned, imperfect, and slightly naked 4-layer cake which I adorned with very French-inspired double cherry lollipops. Mama has no time to fuss! 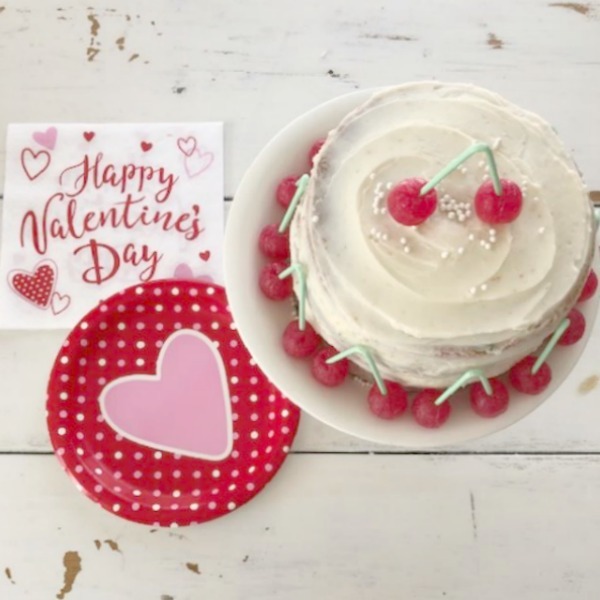 See that Vintage Valentine story HERE for the full deliciousness. 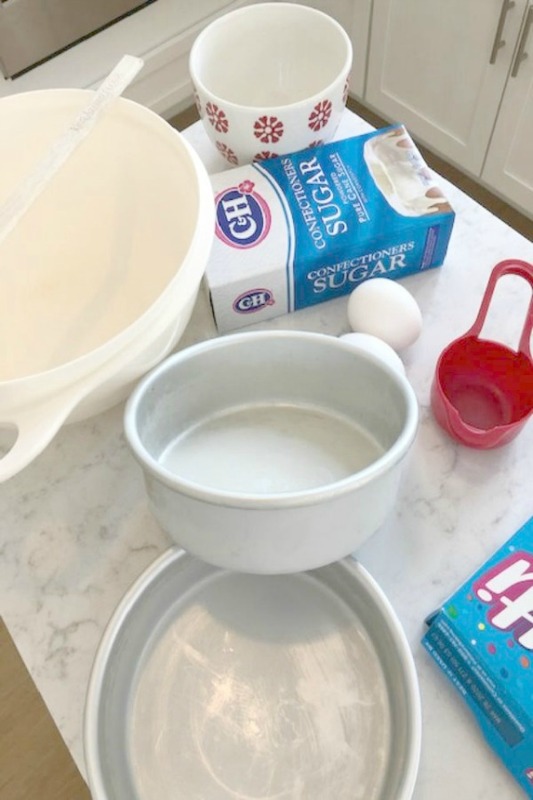 Today, I’m sharing details for the layer cake which I have been making forever in DIY: Easiest Funfetti Cake Mix Hack. Hello Lovely Studio. 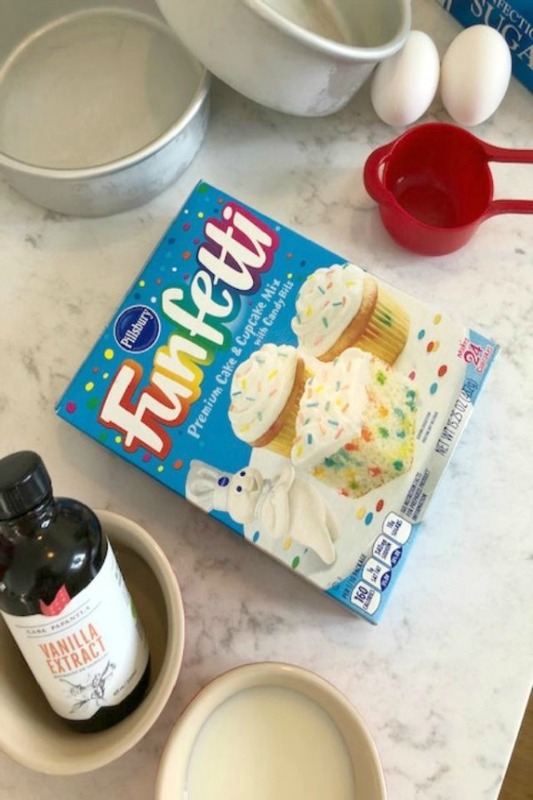 DIY: Easiest Funfetti Cake Mix Hack! 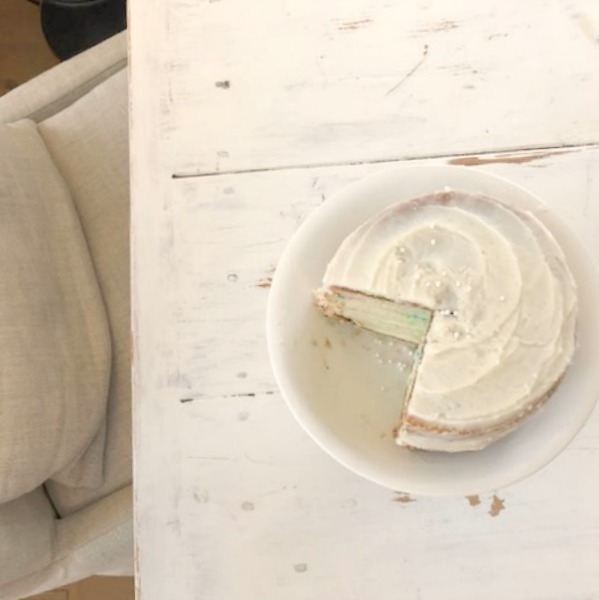 Recipe for my easy white 4-layer cake with homemade buttercream icing. 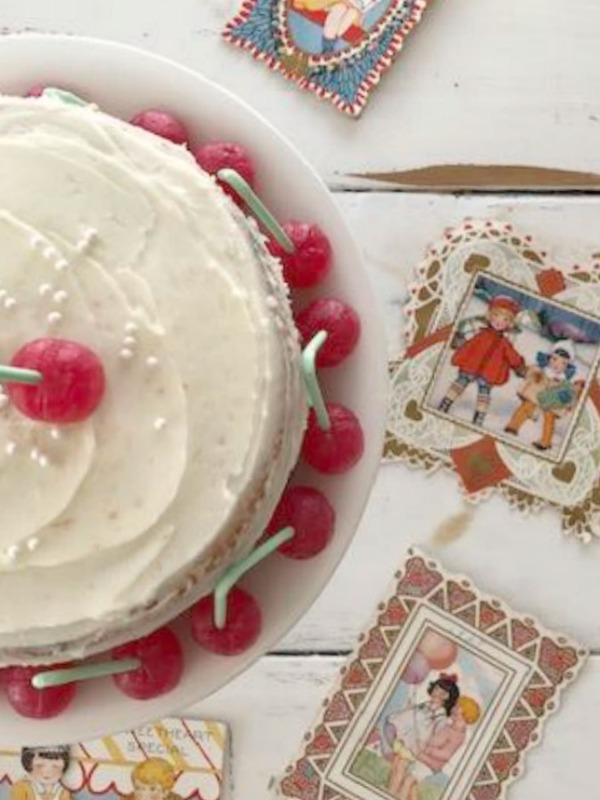 DIY doctored cake mix…certainly lovely indeed! 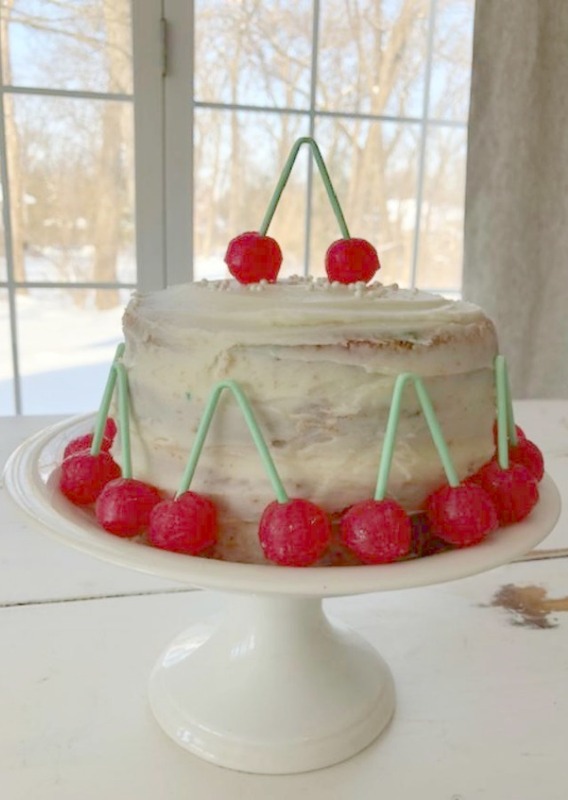 Side note: While my 4-layer 8″ Funfetti cake may look slightly different in the photos gathered here, it’s the same cake…I sprinkled on edible pearls, tried a cherry on top, settled on double cherry lollipops, then stripped it to devour it at last. 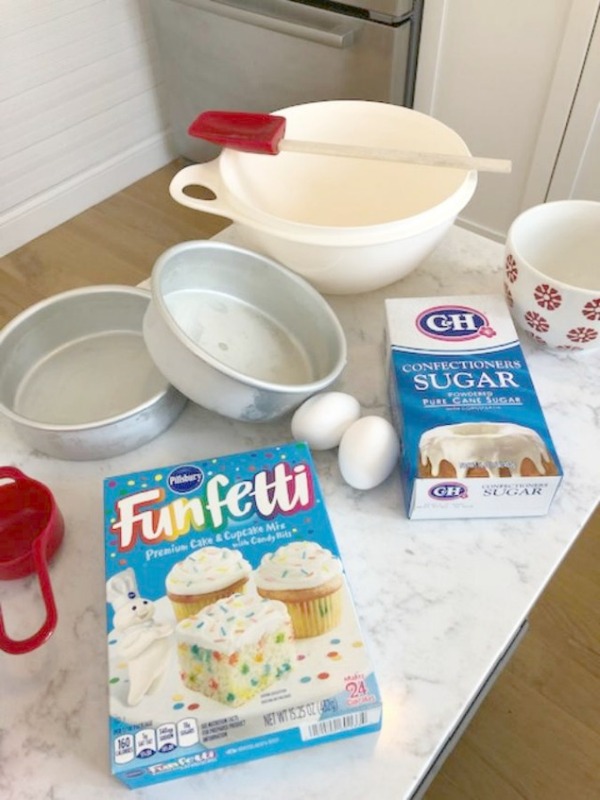 Why I love this cake mix hack…Funfetti cake mix emerged in 1989, and I am have been making these cakes for decades since it was my husband’s favorite. 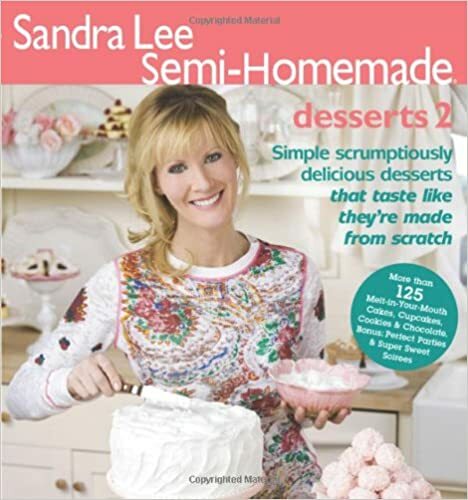 As a work-at-home-mom, I enjoyed baking with my children and having time to experiment with recipes. That’s one of the finer things that seems to be missing for a lot of folks today: time to fiddle in the kitchen, time for simple pleasures, and time to dream up little hacks. 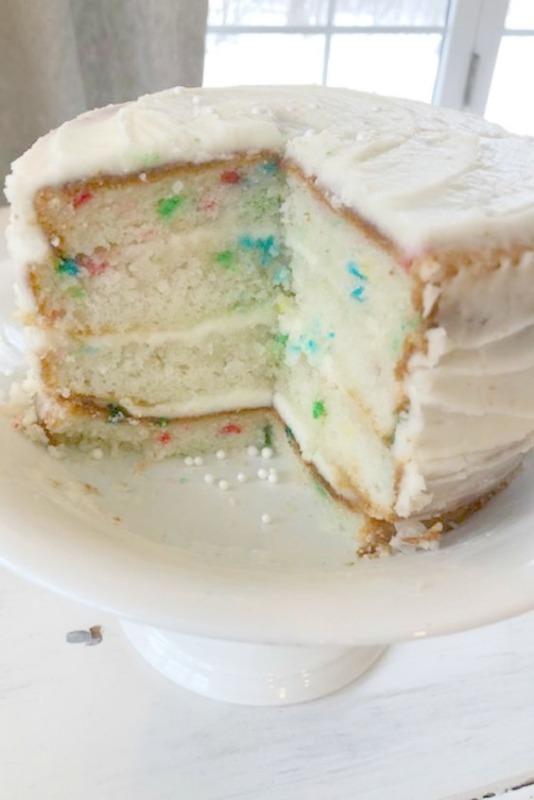 Funfetti is a family favorite so bougie-bougie and humble as it is, here’s your hack, friends! Hello Lovely Studio. 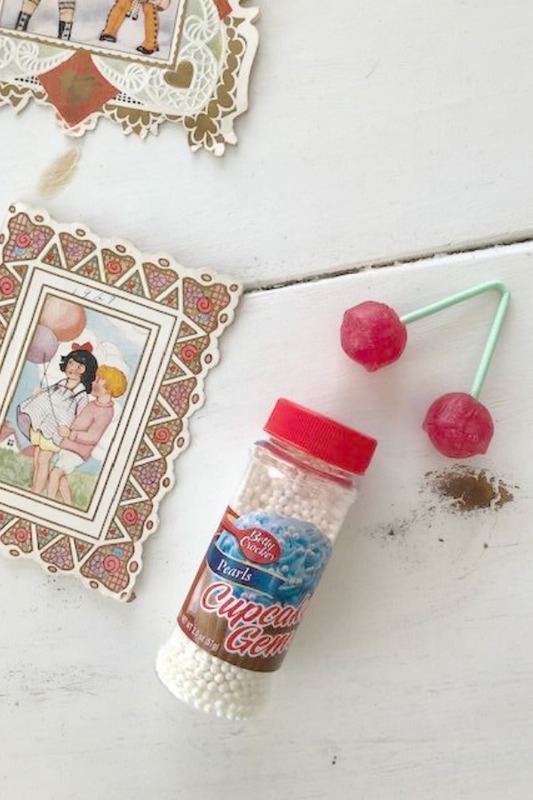 I sprinkled on edible pearls, ringed it with double cherry lollipops, and plopped a cherry on top DIY: Easiest Funfetti Cake Mix Hack! Recipe for my easy white 4-layer cake with homemade buttercream icing. 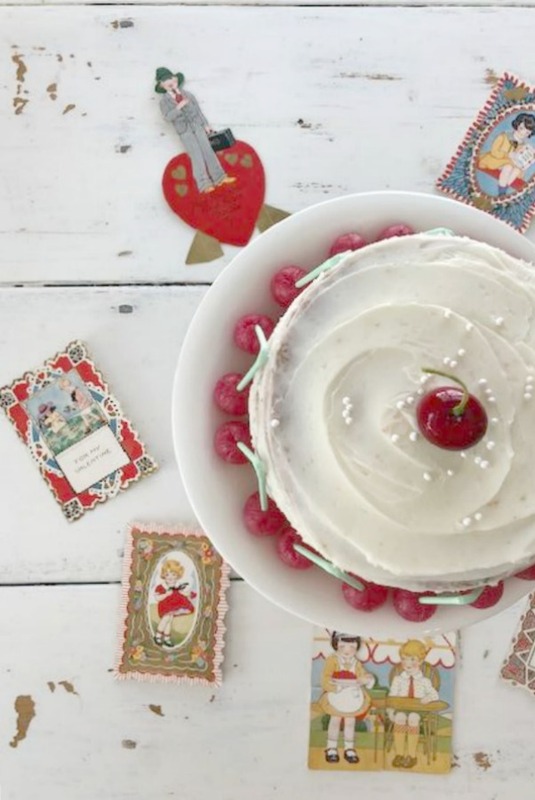 DIY doctored cake mix…certainly lovely indeed! Click here to PIN THIS POST for future reference! Hello Lovely Studio. My compote/pedestal is a made in Belgium antique. Countertop: Viatera Minuet quartz – read this story about quartz if you’re curious. 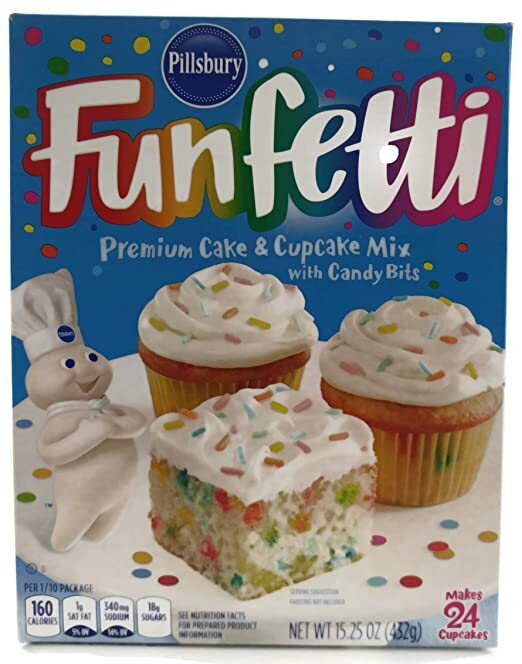 DIY: Easiest Funfetti Cake Mix Hack! 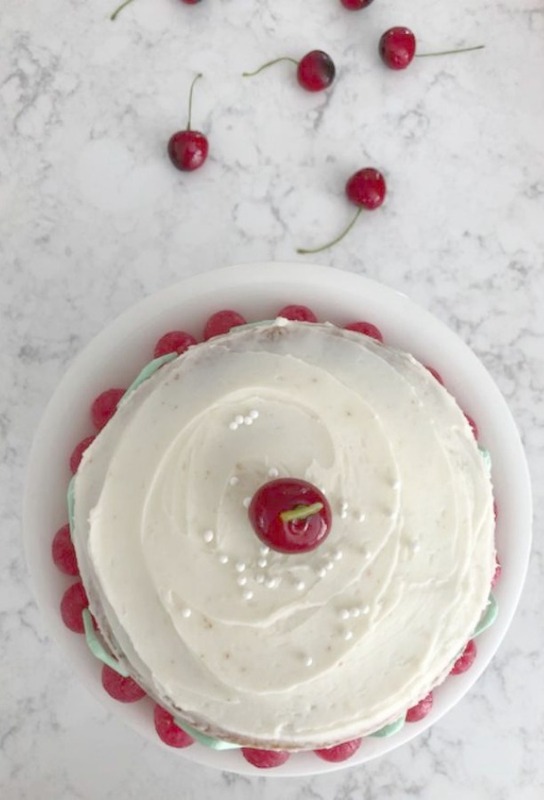 Recipe for my easy white 4-layer cake with homemade buttercream icing. 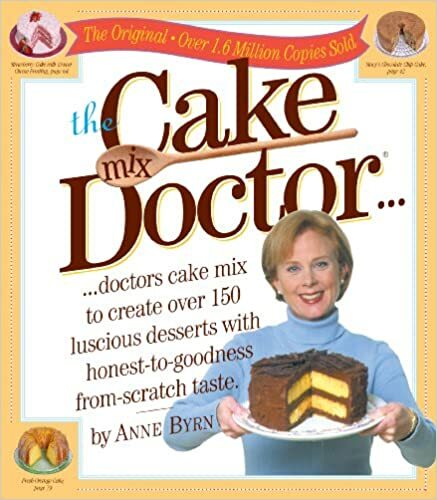 DIY doctored cake mix…certainly lovely indeed! This is a simple cake to decorate as you wish depending on the holiday. You may remember I decorated my gluten-free mini carrot cake with faux cherries and placed her on a rustic wood slice HERE. Dinner Plates, Dessert Plates, and Napkins – Set of 10 Hello Lovely Studio. The story with sources for Valentine decorations is HERE. 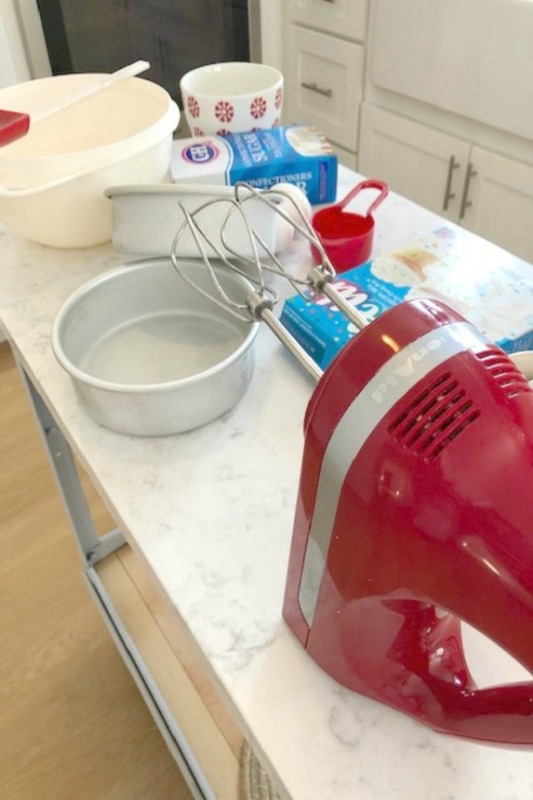 DIY: Easiest Funfetti Cake Mix Hack! Recipe for my easy white 4-layer cake with homemade buttercream icing. 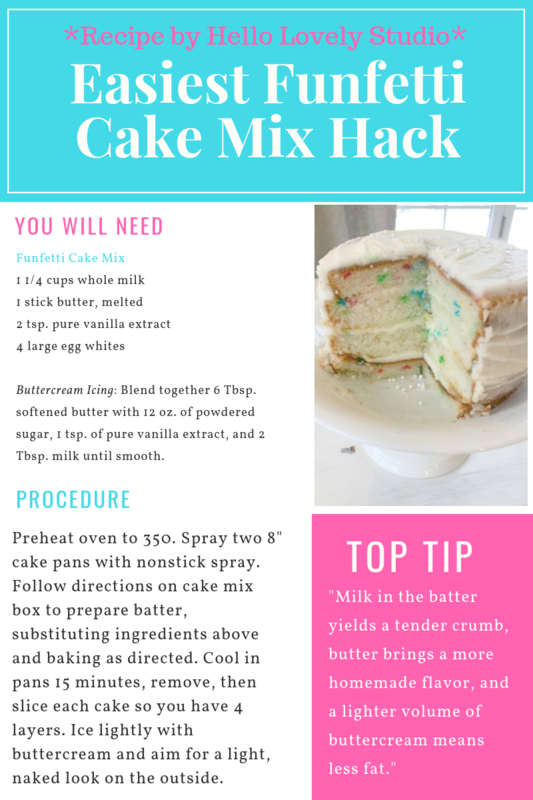 DIY doctored cake mix…certainly lovely indeed! 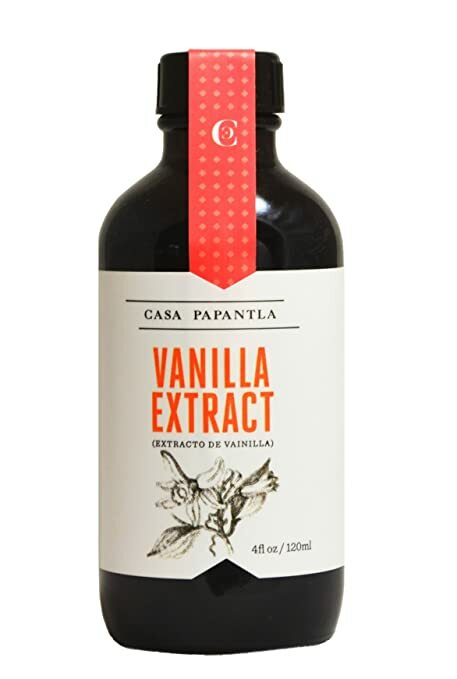 Here’s the vanilla I have been using in recent years – it’s made from quality Mexican vanilla beans in Vera Cruz. 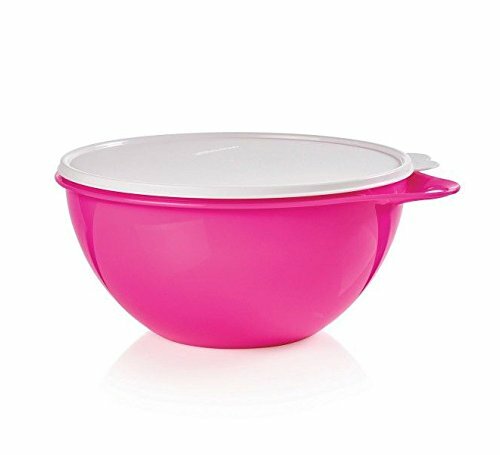 This is the exact mixing bowl I use for everything (12 cup capacity). 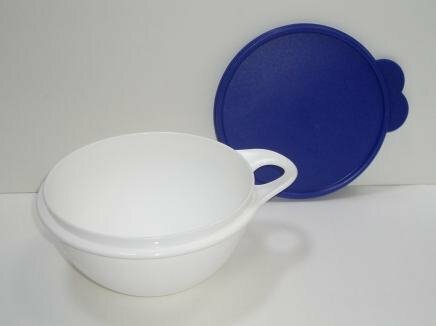 How durable are these Tupperware bowls? 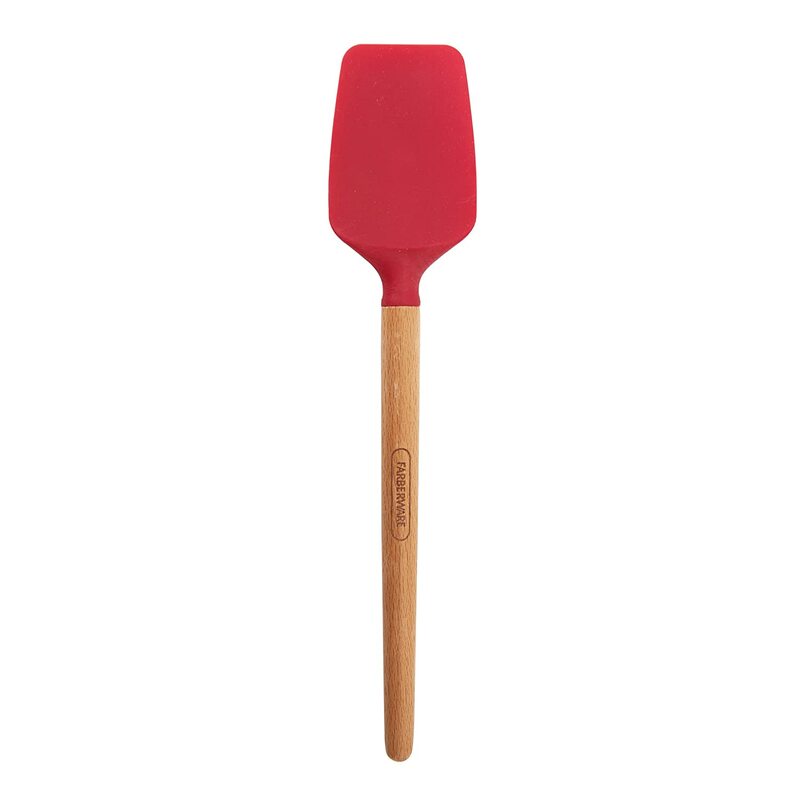 I have been using the same one for over 25 years…that’s a lot of use and dishwashings, mama! 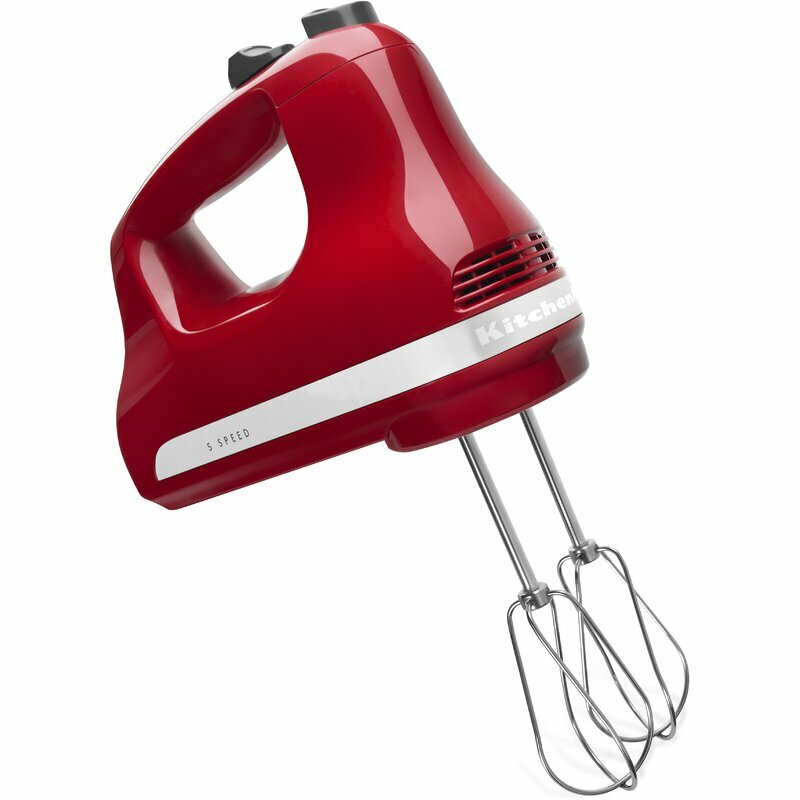 This Kitchenaid hand mixer is one of the prizes I won from my cookie recipe win from Country Home magazine! It is a true treasured trophy! The wee white bowl with red snowflakes (Crate & Barrel) was a gift from my sister years ago. Oh, and what you’re seeing here is my petite industrial vintage work island I scored for $10!!! Read about it HERE. 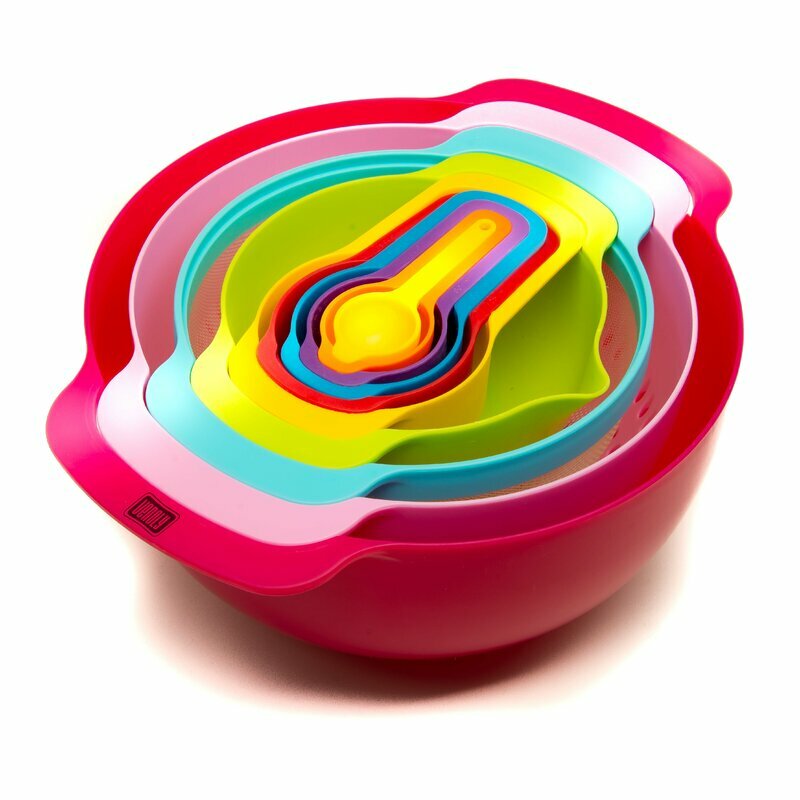 I Love These Wilton Cake Pans! I can’t live without mine. And I can’t explain all of the red accents in our white kitchen since I don’t have red elsewhere in the house. Is it how appetizing red can be? That it’s the color of delicious marinara? A festive, Valentine, Christmas-y, Swedish dala horse thing? No idea. Hello Lovely Studio. Let Them Eat Cake! But also. This is sort of how I waddle and wobble after eating this delicious Funfetti cake. Hello Lovely Studio. 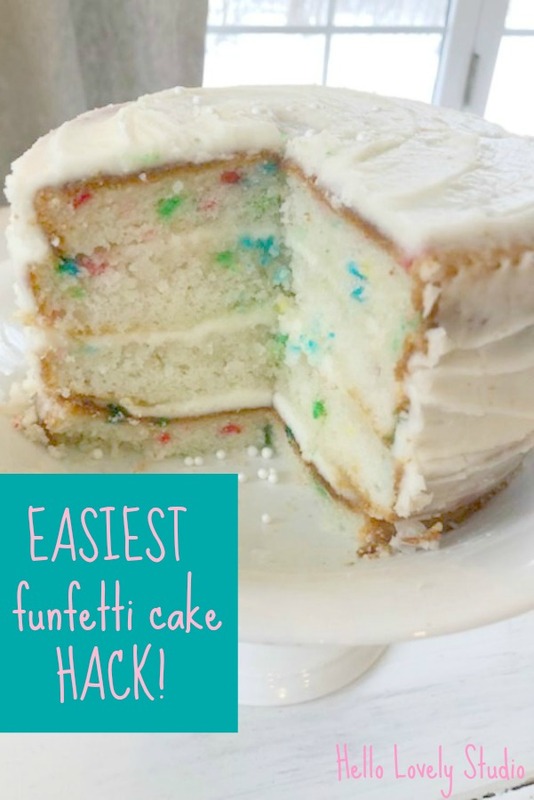 Easiest Funfetti Cake Hack! 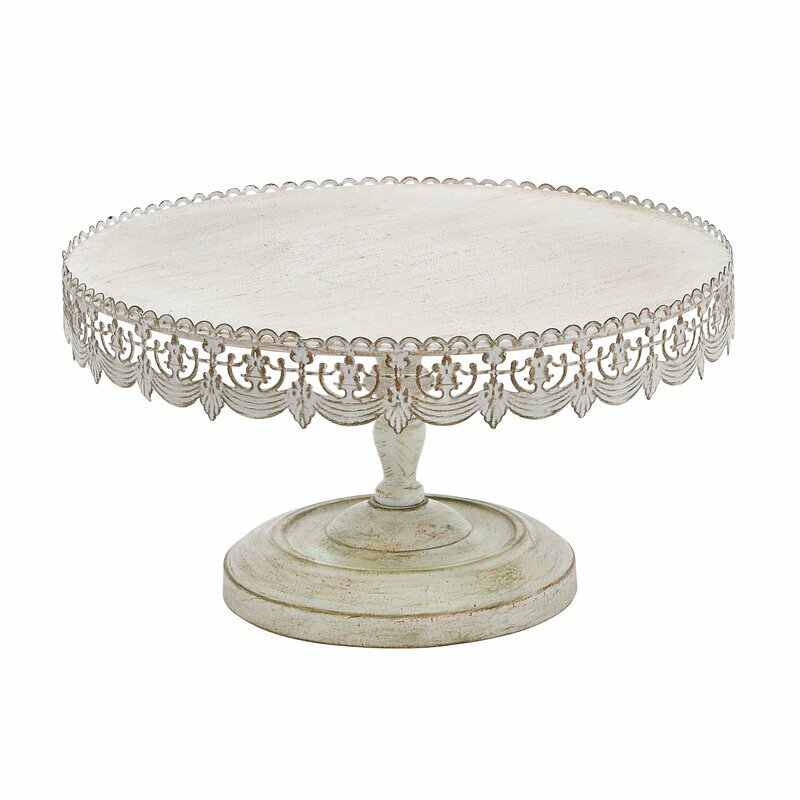 Need a Cake Pedestal for Your Layer Cake? Cake Pedestal. Let them eat cake! Hello Lovely Studio. Old fashioned and semi-homemade! Hello Lovely Studio. Old fashioned and semi-homemade layer cake! The deconstructed, tone on tone version is just as delicious! How is February treating you, lovely friends? I’m muddling through and always a bit restless in winter. Our house smells like a bakery, but it’s up for grabs since I am digging into closets and such. You know how tidying up and organization can go. Things grow worse before they begin to look and feel better. Often, the same pattern applies to personal growth. Or assembling a layer cake. That’s why it’s important to keep encouraging each other, to keep propping each other up and being buttercream. In the kitchen of life, things get messy for everyone. And it’s okay because messy isn’t the end of the world. Even a lopsided fail of a layer cake can be delicious. My humble, doctored cake will never delight a seasoned pastry chef. How often in this life do I consistently fall short? Yet what about the spirit in which messy days are spent? What about the purity of the love infused into cakes we bake? Into the lives we make? It’s the secret invisible ingredient, transcending the mess. It’s the layer of ethereal sweetness, sealing in the joy. It’s the recipe of recipes…rich, forgiving, and tender. My kid was dazzled by funfetti cake after a trip to the U.S. and it was requested for the following birthday. As I thought it would be too easy to just add jimmies to cake batter (and like you, I do it from scratch–no industrial/chemical taste that mixes have), I made a funfetti pinata cake to go with the pinata I made for the kids to break into (very exotic in France–they didn’t know what it was but enthusiastically got into it quickly). 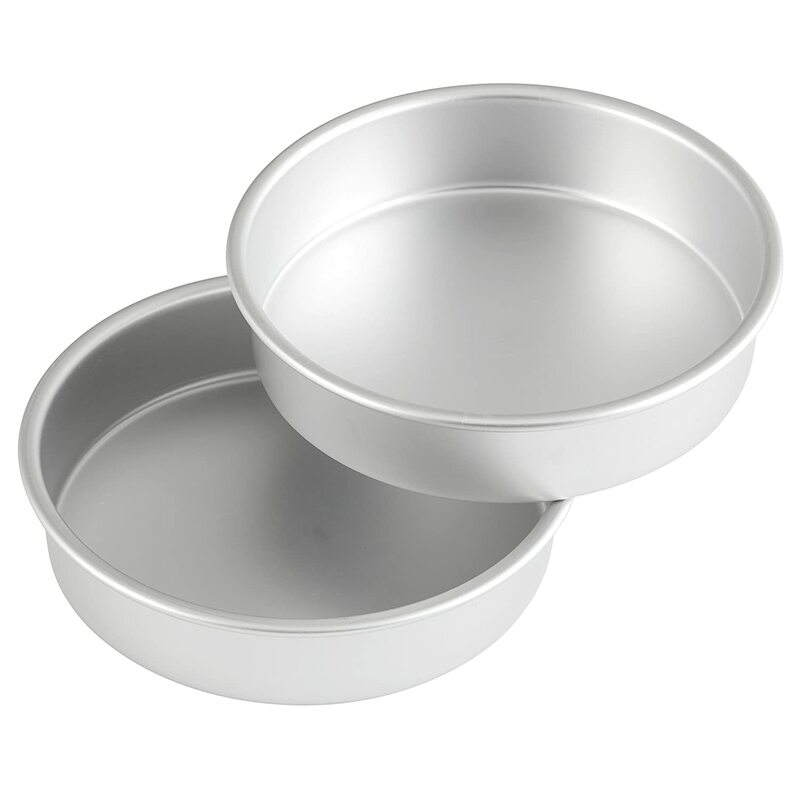 Pour the batter into two smallish Pyrex bowls–greased and floured. When it’s baked (and it takes a while because it’s so thick) and cooled, scoop out the center, leaving about a 2″ layer all around. Fill the bottom with unwrapped candy–M&Ms work well–and let the candy pile up on top a bit. Put frosting around the edge of the bottom and carefully “glue” on the top. Frost the whole thing and decorate. Not very hard but I guarantee eyes will pop out of heads when you cut it open. Who knew you were a baker too! 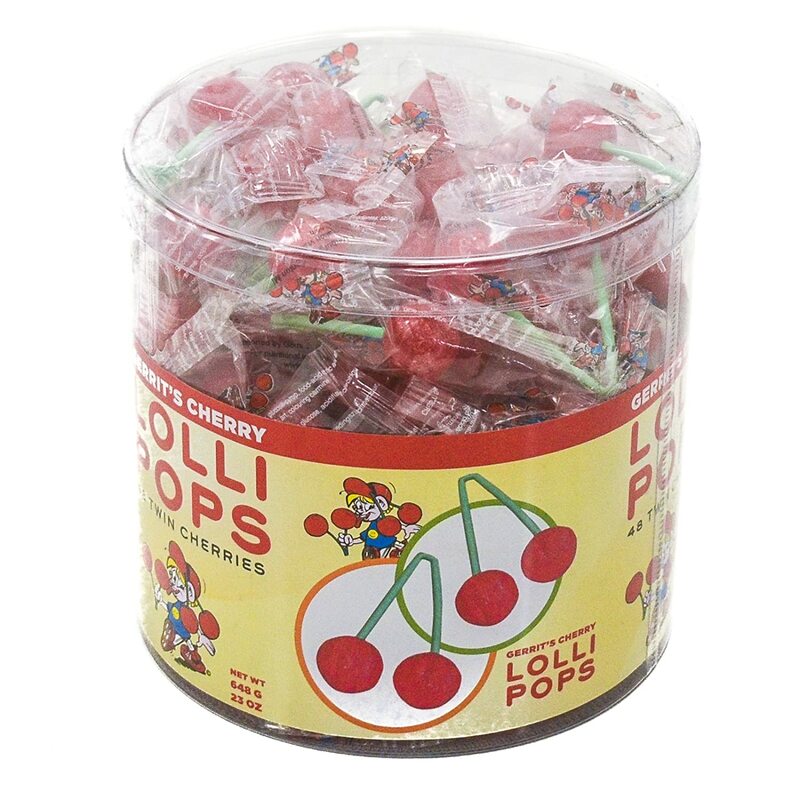 Those cherry pops are adorable! Gotta get me some for the Grand-babies. I have to share my sweets with friends with all the food sensitivities going on in this house! Walking away from sugar is admirable and a smart way to fight inflammation – that is awesome!